Discover the highlights of Scandinavia’s elegant cities. Explore the majestic palaces of Copenhagen and the treasures and charm of picture-perfect Stockholm and Oslo. Embark Scenic Eclipse for the journey of a lifetime in all-inclusive luxury cruising the Arctic Islands from Svalbard to Iceland. Sharing a flair for design, stunning natural beauty and colourful architecture, it is the small differences that make the Scandinavian cities utterly unique. Copenhagen’s humble origins as a fishing port and charming cobblestone streets contrast with Stockholm’s elegant 57 bridges linking the 14 islands of the metropolis, while cosy Oslo is nestled amongst Nordic forests, lakes and green hills. 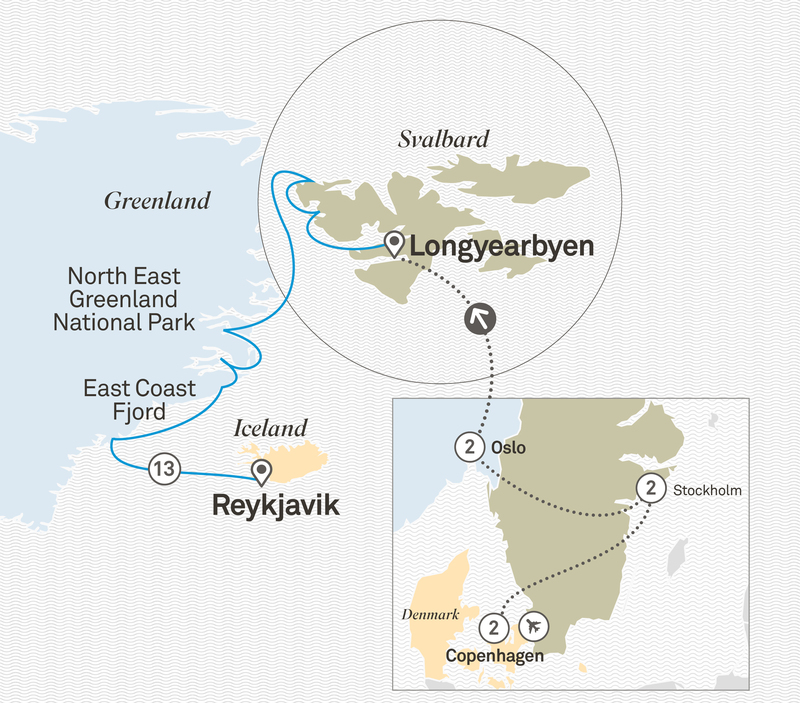 Fly from Oslo to Longyearbyen, where you will board Scenic Eclipse and be warmly welcomed by the crew. Toast the start of your adventure at tonight’s welcome reception where the Captain will introduce the crew and your expert Discovery Team.